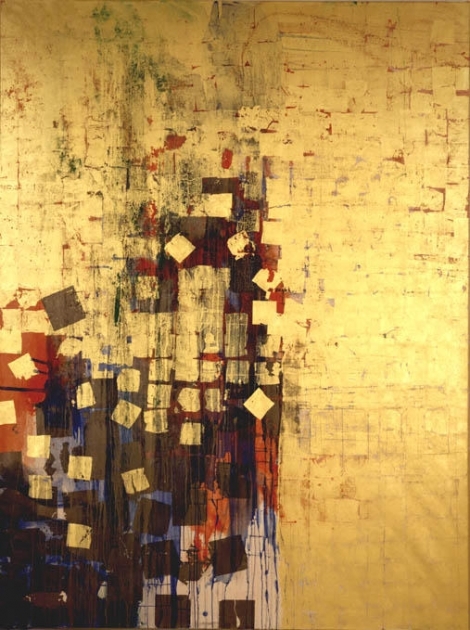 Makoto Fujimura (b. 1960, Boston) was recently appointed Director of Culture Care Initiative at Brehm Center, Fuller Seminary for Worship Theology and the Arts, and is an artist, writer, and speaker who is recognized worldwide as a cultural influencer. A Presidential appointee to the National Council on the Arts from 2003-2009, Fujimura served as an international advocate for the arts, speaking with decision makers and advising governmental policies on the arts. In 2014, the American Academy of Religion named Fujimura as it’s 2014 “Religion and the Arts” award recipient. 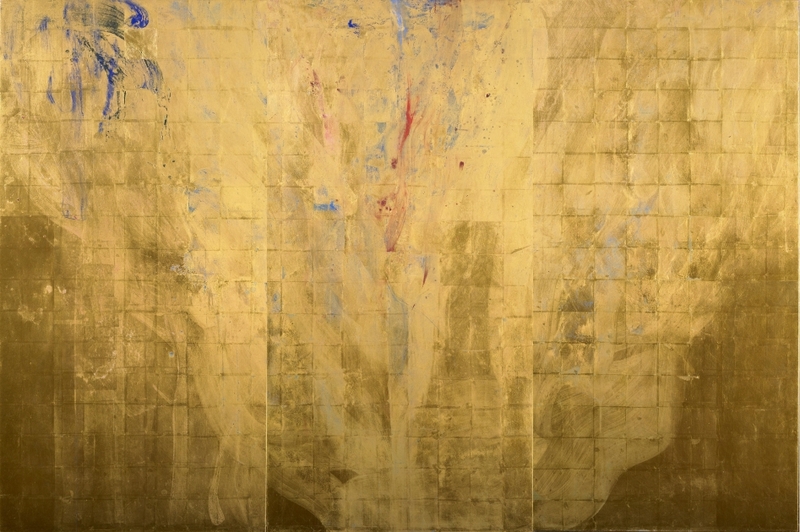 Fujimura’s work is represented by Artrue International and has been exhibited at galleries around the world, including Waterfall Mansion & Gallery and Dillon Gallery in New York City, Sato Museum in Tokyo, The Contemporary Museum of Tokyo, Tokyo National University of Fine Arts Museum, Bentley Gallery in Arizona, Gallery Exit and Oxford House at Taikoo Place in Hong Kong, and Vienna’s Belvedere Museum. He is one of the first artists to paint live on stage at New York City’s legendary Carnegie Hall as part of an ongoing collaboration with composer and percussionist, Susie Ibarra. Waterfall Mansion Gallery in New York City has also featured two exhibits "Silence and Beauty" (2016) and "Silence - Homage" (2017, May through July). A popular speaker, he has lectured at numerous conferences, universities and museums, including the Aspen Institute, Yale and Princeton Universities, Sato Museum and the Phoenix Art Museum. Fujimura founded the International Arts Movement in 1992, a nonprofit whose “Encounter” conferences have featured cultural catalysts such as Dr. Elaine Scarry, Dennis Donoghue, Billy Collins, Dana Gioia, Calvin DeWitt and Miroslav Volf. Fujimura’s second book, Refractions: A Journey of Faith, Art and Culture, is a collection of essays bringing together people of all backgrounds in a conversation and meditation on culture, art, and humanity. In celebration of the 400th Anniversary of the King James Bible, Crossway Publishing commissioned and published The Four Holy Gospels, featuring Fujimura’s illuminations of the sacred texts. Minha Yang was born in Chung Ju in 1975, studied visual communication design at Seoul National University, and received his MFA in graphic design from same university. From 2006 until 2008 he was professor of design department at Myungji University and taught Interactive-Graphics. Since 2008, Minha Yang has been teaching Interactive-Graphics and Motion-Graphics design at University of Seoul. 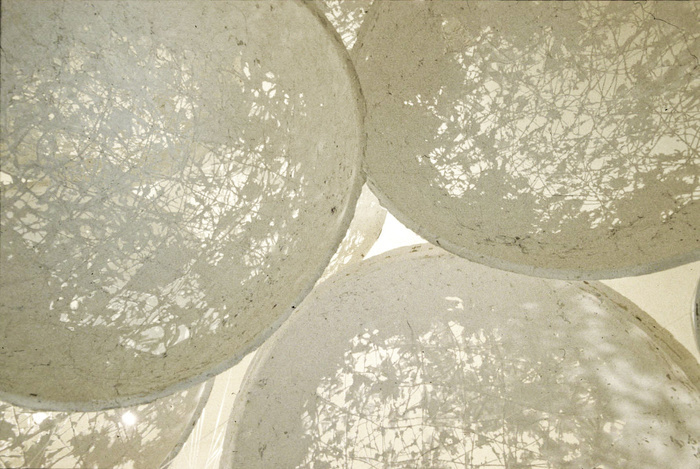 Minha Yang has participated in many group exhibitions in Korea and abroad, including: Seoul International Media Art Biennale (2002), MAAP beijing (2002), China Art & Science (2003), Kwangju International Design Biennale (2005), Spain ARCO biennale MINBAK (2007), Czech of Rep. The Prague Contemporary Art Festival Tina-b. City Fables (2007), Centre Des Arts Enghien-Les-Bains France PRINTEMPS PERFUME (2010), Incheon International Digital Art Festival(2009, 2010), The Creators' Project Seoul and NY (2011) · SFO(2012) · SPO(2012), Museum of Modern and Contemporary Art Seoul Opening Exhibition(2013), Les Arts Décoratifs France(2015), Brazil FILE Festival(2015), Canada ELEKTRA(2016). He has received prizes like Excellence Award in Asia Digital Art Award (2001~2004) and Canon Award in Canon Digital Creators Contest (2001, 2002) and Young Artist Prize Art division in Korea(2014). 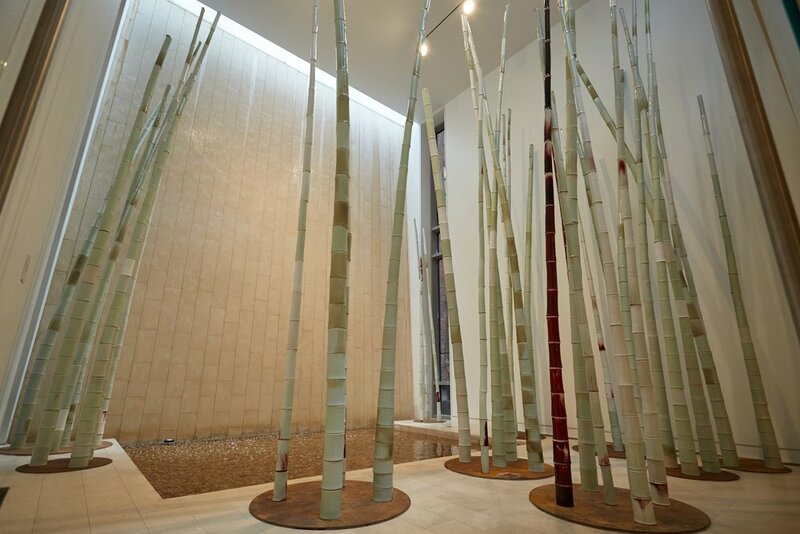 Seunghee Lee understands the traditional history of bamboo and its symbolism. In Asaian culture bamboo is the hallmark of beauty and character. Highlighting such virtues like integrity, modesty, loyalty and honor. Even the nature of its flexibility and vast root system, all depicting things like prosperity, resilience and strength. Seunghee chose to remake bamboo out of the most fragile and inflexible of materials: clay. Wanting to create a paradox between the two identities: the flexibility of the natural bamboo vs the inflexibility of man-made pottery. Intrigued by this fascinating tension of the two opposite substances, it drove him to create: the flexible and the inflexible, natural and man made, soft and hard, flexible and rigid. These are the properties of a natural bamboo forest vs a clay bamboo forest But they are also properties of us all. Seughee Lee takes us on a walk into a forest that we are all part of. 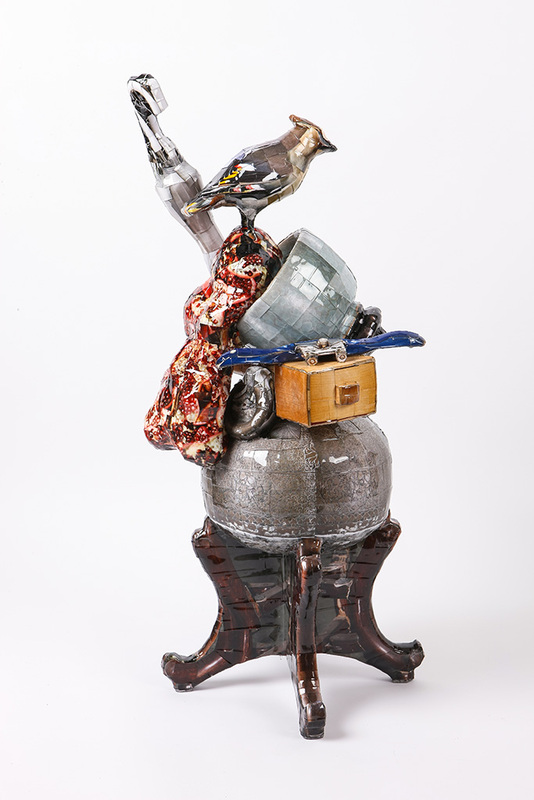 Seung Hee has an unusual approach to ceramics. 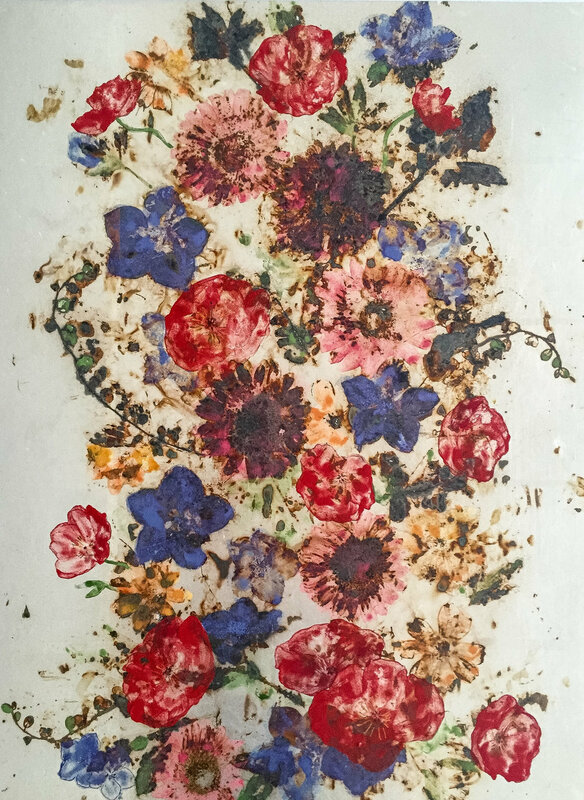 He recreates famous examples of Joseon dynasty (1392-1910) porcelain onto ceramic tiles. In a genius format he is able to duplicate these images of fine porcelain onto ceramic tiles, while replicating and retaining their original beauty. In Korean, porcelain is known as baekja, or white ware. The process of duplication is very in-depth and time consuming in order to retain the original beauty and charm of these historic porcelain pieces. Han Youngsoo was little known outside of Korea during his lifetime. Seen from today’s vantage point, his photographs come as a surprise. With their impeccable composition, flawless timing, and scrupulous attention to social detail, they suggest the work of a long-lost Korean cousin of such early Magnum photographers as Henri Cartier-Bresson, David Seymour (Chim), and Marc Riboud. After taking part in bitter frontline fighting as a young South Korean soldier during the Korean War (1950–53), Han returned to Seoul at the war’s end and found a devastated city. Choosing photography as a profession, he witnessed a period of profound transformation in Seoul that saw the rapid creation of a modern city and urban society. His photographs tell this story by offering a fascinating window onto the everyday lives of the city’s ordinary men, women, and children. Although he did not overlook the surviving customs and architecture of old Seoul—there are remarkable views of terraced hills crowded with traditional tile-roofed dwellings—Han was more interested in exploring the modern urban culture that was rapidly taking shape. His street portraits are filled with recognizable metropolitan types: an anxious young couple tending their sidewalk used-book stall; a self-satisfied young woman strolling in a sleek fur coat on what appears a warm fall day. Han paid special attention to the changing status of Korean women, who were then finding new roles as entrepreneurs or consumers, as suggested in views of narrow streets lined with well-stocked fashion boutiques. Although after 1966 Han turned his attention to running a successful studio specializing in advertising and fashion photography, his photographs of Seoul in the postwar decade remain one of the richest and most humanly sympathetic visual records of those years. Today, with the partnership of the Waterfall Mansion & Gallery, the Han Youngsoo foundation has successfully reintroduced his work by organizing his induction into the ICP (International Center of Photography), making Han Youngsoo the first Korean photographer to enter their private collection. 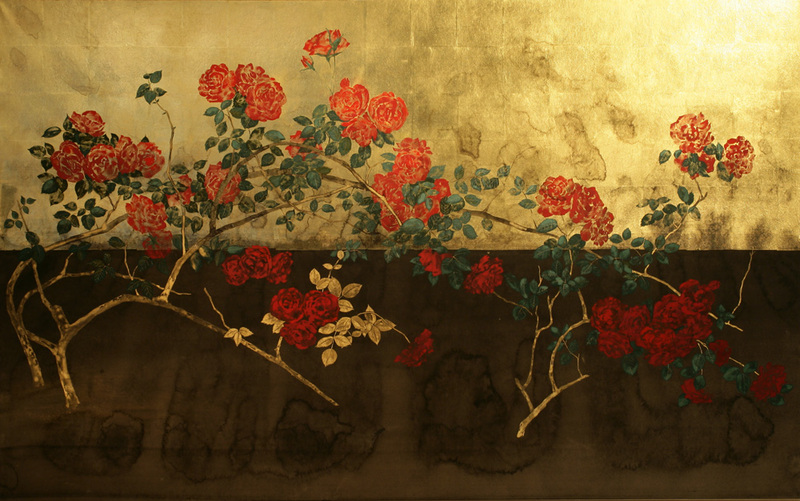 Born to a well-to-do family in Gaesung, Korea, in 1933, Han Youngsoo took drawing and painting lessons as a young man and pursued photography as a hobby. Following service in the Korean military during the Korean war, he started his photographic career as a member of Shinsunwhue (New Line Group), an association of socially concerned realist photographers. With the advent of economic prosperity in 1960s Korea, he established Han’s Photo Studio in 1966; it became a celebrated pioneer of Korean advertising photography and fashion photography. Han played an active role in a number of Korean photography associations and cultural organizations. In 1987 he published a wide selection of his historic photographs of postwar Seoul in a large-format book, Korean Lives after the War, 1956–1960. Following his death in 1999, his daughter Han Sunjung established the Han Youngsoo Foundation to preserve his negatives and archive and to promote recognition of his accomplishments. Han Youngsoo’s works have received growing international attention in recent years, and were featured at the Rencontres d’Arles photo festival in 2014. Two volumes of his photographs have been published by Hansgraphic: Seoul: Modern Times (2014) and Once Upon a Time (2015). Han Youngsoo's photo books: Seoul, Modern Times and Once Upon a Time are available on Amazon. 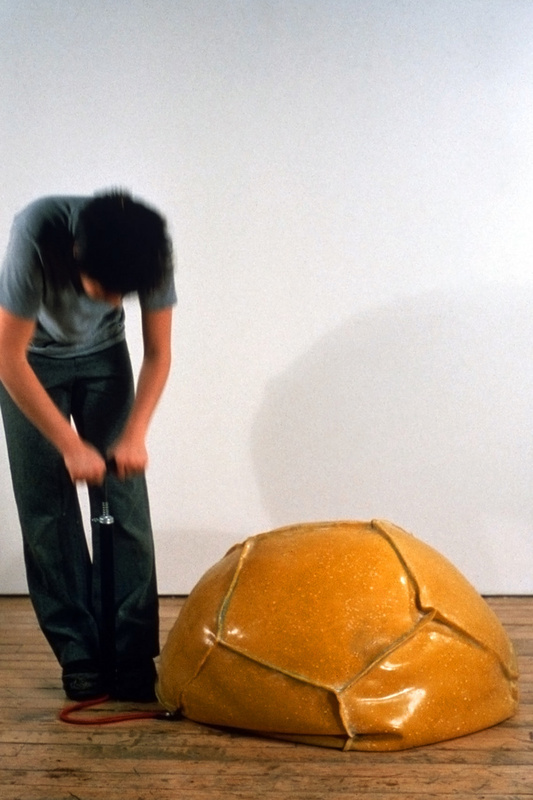 Geri Taper (1929–2004) moved to New York City in 1976 from Pittsburgh where she had established herself as a leading artist, her career culminating in a show of large-scale works at the inaugural exhibition of the Sarah Scaife Gallery at the Carnegie Museum of Art. Drawn to the vitality and promise of an emergent Soho, Taper vigorously pursued a career that included individual and group exhibitions at the city’s foremost galleries (David McKee, A.M. Sachs, Theodore Haber), foundation grants for special projects (New York Foundation for the Arts), commissions for the interior and exterior renovation of commercial and industrial properties in Long Island City (Falchi, Redstone Rocket and Center Buildings), and the design of a multi- colored banner at Queensboro Plaza Station sponsored by the New York City Metropolitan Transportation Authority (MTA). For more than 25 years, Taper's paintings have been involved with forms through color. The lyrical energy of form flows from one painting to the next with bold colors and forms changing shape from one to the next. "The images are the music"
"Believed that we don't see with out eyes, but with our vision"
Richard Hassell is an Australian-born architect and artist who has lived in Singapore since 1989. He founded the architectural practice WOHA with Wong Mun Summ in 1989. 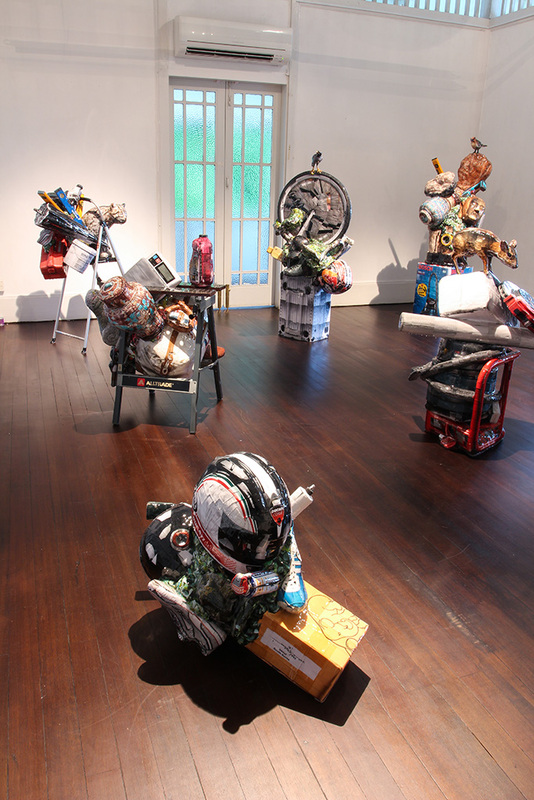 WOHA has exhibited their work in the Venice Biennale, most recently with a video installation entitled “Fragments of an Urban Future” and in New York at the Skyscraper Museum with “Garden City| Mega City” both in 2016. WOHA have received 7 President’s Design Awards, Singapore’s highest design accolade. Richard’s art practice intersects with the architectural practice, and explores complex geometries and tiling. Growing up with his brother, mathematician Professor Andrew Hassell of the Analysis and Geometry Program at the National University of Australia, recreational mathematics including the art of M.C. Escher was an early source of delight and wonder. Since 2004 Richard has extended M.C.Escher’s work on tessellations and symmetry into new geometries discovered after Escher’s death. These complex geometries have also been incorporated into the designs of WOHA’s buildings, such as the aperiodic facades in the Sanya Intercontinental Hotel on Hainan Island and the cladding on the Chengdu Tianfu complex in China. Recently WOHA exhibited a pavilion with a fractal plane-filling façade in Paris and Singapore, with a cladding system titled the Beanstalk. His book, “Strange Creatures” is a series of prints, artworks and wall panels, and includes tessellations based on fractals, aperiodic tiling and plane-filling curves. The designs reference not only Escher and recent science, but also traditional art of the region, including South East Asian textiles and tribal art. "I started to create donut works in 2008, when I was in depression. During that time, I asked myself what makes me happy, and redefined the happiness in my life. I thought that fame, money, and power creates happiness success. I create a circular mold, then create a donut with fluid clay. I dry the clay donut and put it into the bisque fire. I apply underglaze to create each unique design. After painting, I put into bisque fire once more. The second bisque fire will clear out all the debris and look stronger. Then I glaze the donut and put into glaze fire. Sometimes I do multi-firing in order to make the perfect donut. Also I put decorative crystals for some of the pieces. During the time when I created the series of donuts, I made a connection to the choir singing in harmony at Brooklyn Tabernacle Church. Looking at the beautiful choir singing together, I wanted to create donuts with colorful clothes. I wish that people can see each one’s unique beauty within the diverse world." "I am fascinated by chaos, noise, and entropy – a force of nature that we find difficult to control. Without control, the artist becomes a channel for a higher power (that articulates through him/her.) I find this collaborative effort invigorating and believe that the output is always on a much higher plane than when articulating alone. I try to redirect the flow of the mind outside of the set patterns we are taught by society to construct. Through my work; I try to displace natural activity from its context, revealing an otherwise hidden level of metaphorical absurdity within the ordinary patterns present before our eyes. The goal of sublimating everyday perception underlies many of my projects. I aim to push people away from paradigmatic thinking through various themes and methodologies – aleatoric systems (chance operations,) exaggerated perception, derailed reality and re-envisioning experiences common within everyday life." Israeli-born artist Orna Ben-Ami uses the medium of iron to juxtapose hard and soft, rigid and fluid, heavy and ethereal, permanence and transience, and stillness and movement. A delicate silk dress, a folded mattress, an embroidery hoop, wrinkled paper, and old photographs all tell new stories when translated into welded iron. Her unique take on the relationship between material and concept creates an unexpected yet sophisticated dialogue between the dualities she brings together, utilizing one end of a spectrum while evoking the other. 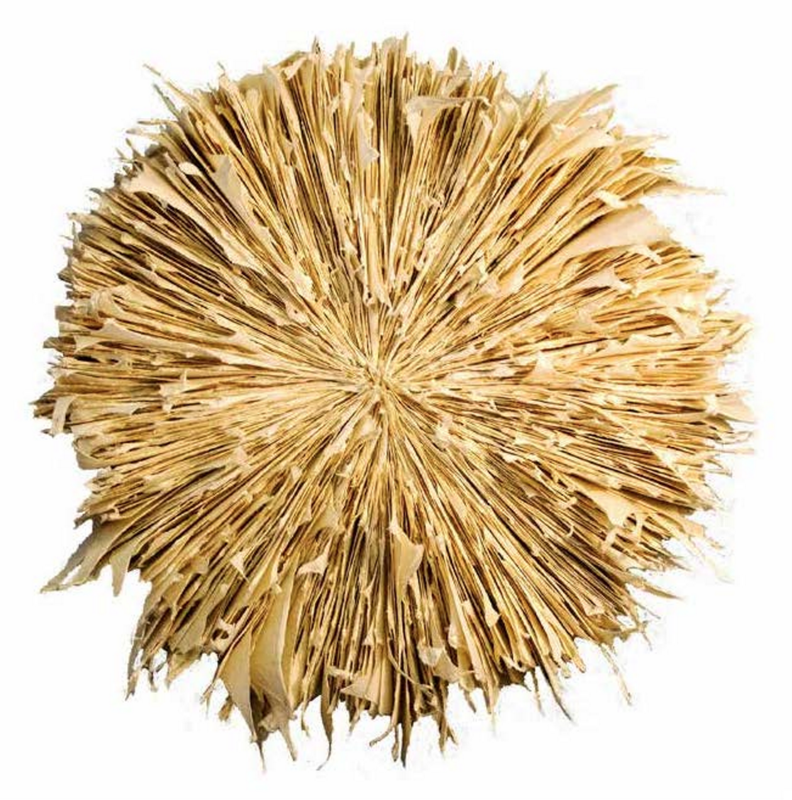 Artist Jinwon Chang focuses on life and God in his pieces as he searches for meaning in ultimate truth. The concept of his work is that it is not his own, but pieces of the truth that is translated through his being. In this way, he acts as a vessel, a piece himself rather than a creator. Through many familiar motifs and symbols that tell the stories of his personal struggles and triumphs on his journey of faith, he visualizes what even he does not know. For Jinwon Chang, art is just as much, if not more, a matter of listening and suppressing as it is a matter of speaking and self-expression. 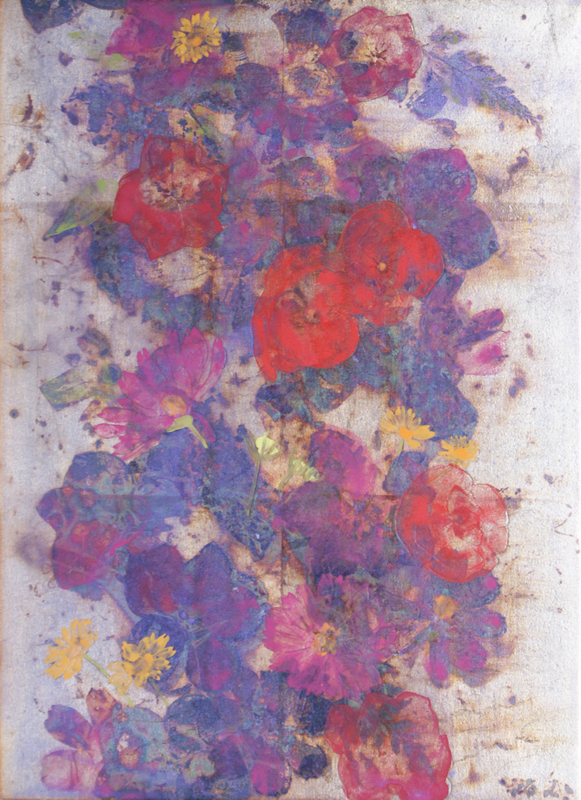 "The main themes of my paintings are butterflies and flowers. They are coupled together into never ending instants, veiled in uncertainty, where every minute of existence is constantly renewed. I can feel sincerity and candor while observing the nature and the butterflies. Butterfly here means 'Psyche' (from the Greek 'ψυχή') was 'life' in the sense of 'breath', 'spirit', 'soul'. And ultimately 'ego' in the sense of 'conscious personality') I thus paint butterflies in my works representing these symbols: soul, mind, 'Numen'(the power of God) , but also beauty, shimmer, and spiritual renaissance. I started painting butterflies as I felt that similar to them I was able to modify and renew shape, with the unrestricted chances deriving from the ephemeral and transient nature of the change. While painting butterflies and focusing my mind on the literature concerning such theme I have discovered their many symbolic meanings. 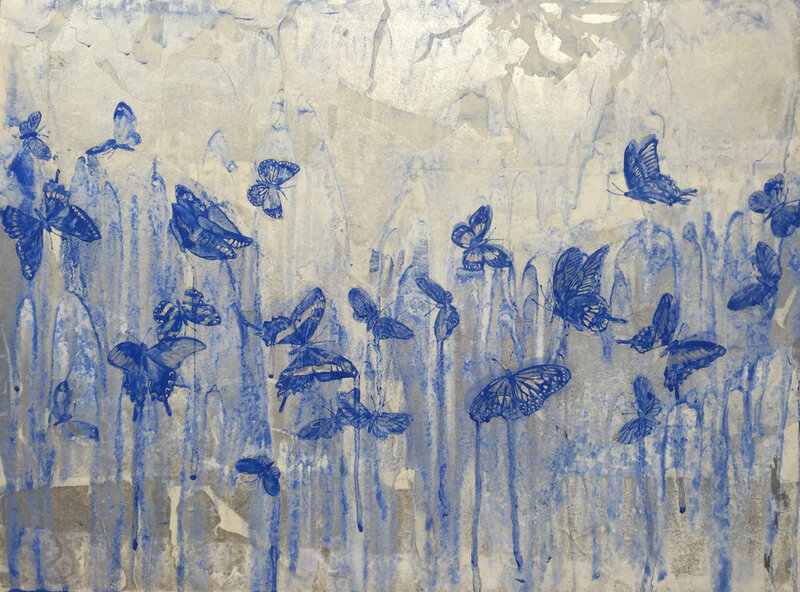 Through my work I want to express my impressions and feelings combined with the symbolism of butterflies." 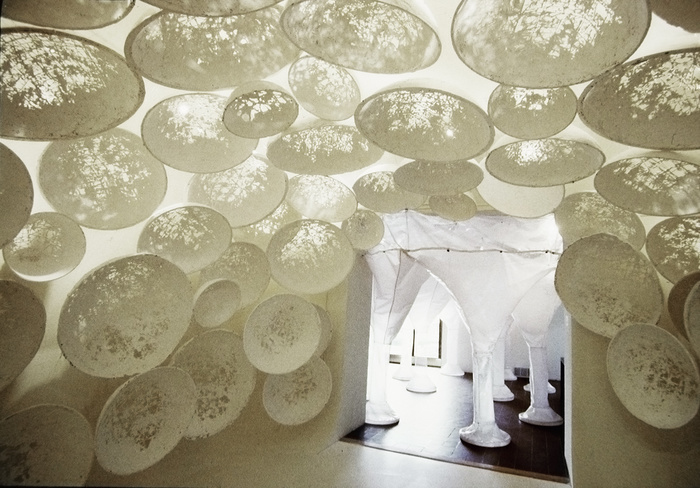 Korean-American artist Soo Sunny Park explores the harmony between organic and synthetic worlds. 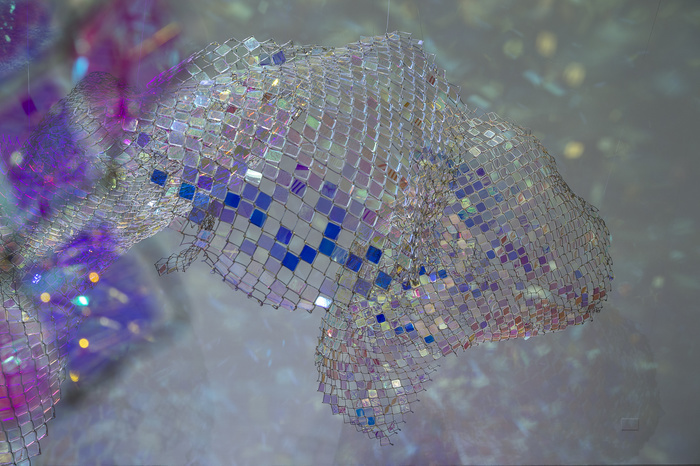 Employing the dualities of motion and stillness, transparency and opacity, reflection and refraction, nature and art, an invisible and intimate dance is exposed and materialized in her installation pieces. Paying acute attention to the unique qualities of her materials and the way they behave in relation to space and time, she composes a visual symphony of light and motion. Her works place the epic motions of nature and the secret movements within ourselves in a single space. 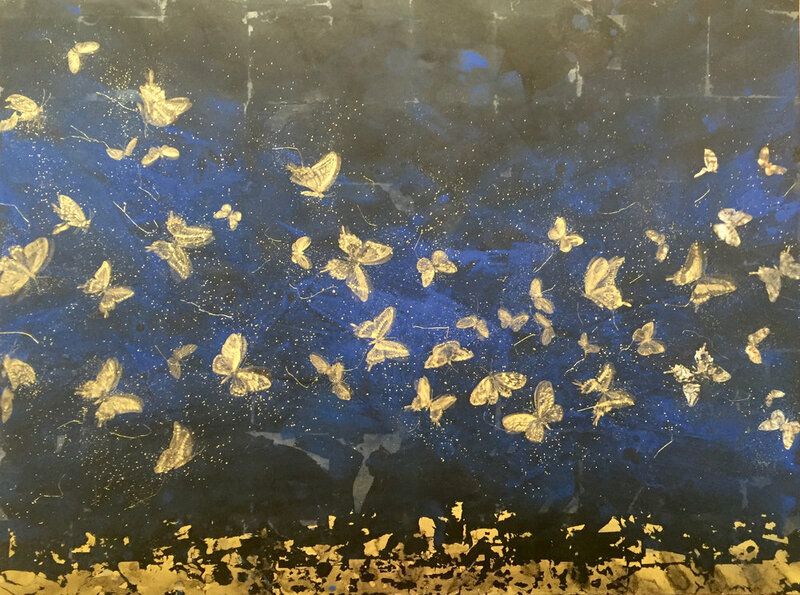 Makoto Fujimura creates work that concerns itself first and foremost with the heart and intellect. Both an advocate and a creator of the arts, a writer, and a vocal speaker on matters of culture and faith, he explores the educational and communicative properties of art. Fujimura uses color and composition to open discussions on the events of the world and his academic journeys. Photography and flat images tend to lend themselves to a graphic nature while sculpture and installation often try to assume a spatial-physical impact. Photography and graphic images can also be considered to be the frontier of the modern art aesthetic while sculpture stands as a pillar of the classical mode of art. 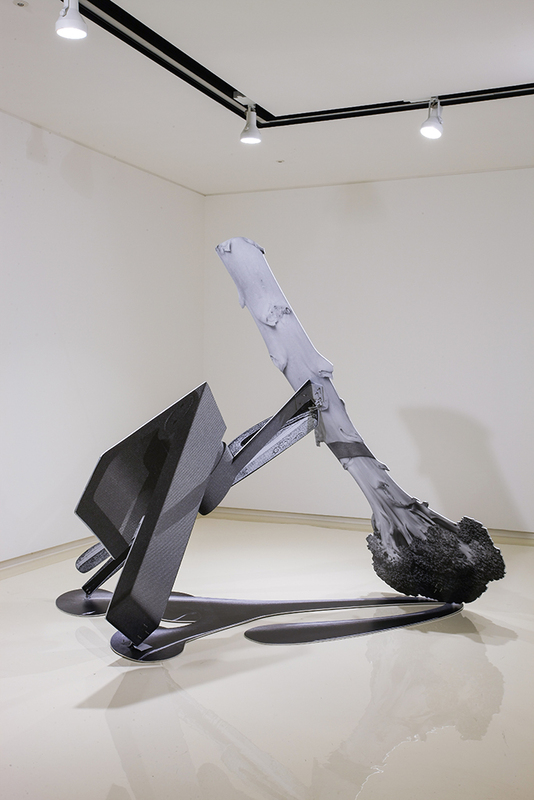 Osang Gwon attempts to capitalize on the unique features of both arenas with his 'photo-sculptures' which marry the flat and the 3-dimensional, the modern and the classical, and the familiar with fantasy. By implementing the flat textures and values of an image to complement the surface of a 3-dimensional form, the two traditionally segregated worlds begin to both exaggerate and harmonize with one another. The authority of the physical object compensates for the lack of depth and tangible presence in the photographic images, while in turn the graphic and planar language of the flat image offers animation, information, and the introduction of a new visual dimension. In so many ways, Gwon is illustrating the way the modern individual experiences life in a world in which so many different forces collide, conflict, integrate, and manipulate one another to yield something spectacular and strange. Cha Jong Rye brings breath to still wood as she brings forth a seemingly inherent movement from its surface texture. Through her process, she finds a meditative rhythm which evokes what appear to be the ripples of the spirit of the raw material. In an effort to find the true energy of her self as well as her medium, she dissects and illustrates the forces that exist beyond passive experience and tangible observation. Recognized since the 1970's as one of the most distinguished hyperrealist sculptors in the world, Carole A. Feuerman presents playful yet stoic statements about feminine power and the pursuit of aspirations. Frozen in time, Feuerman's women serve as icons. They are representatives of both the artist herself as a woman and the feminine spirit within the viewer. 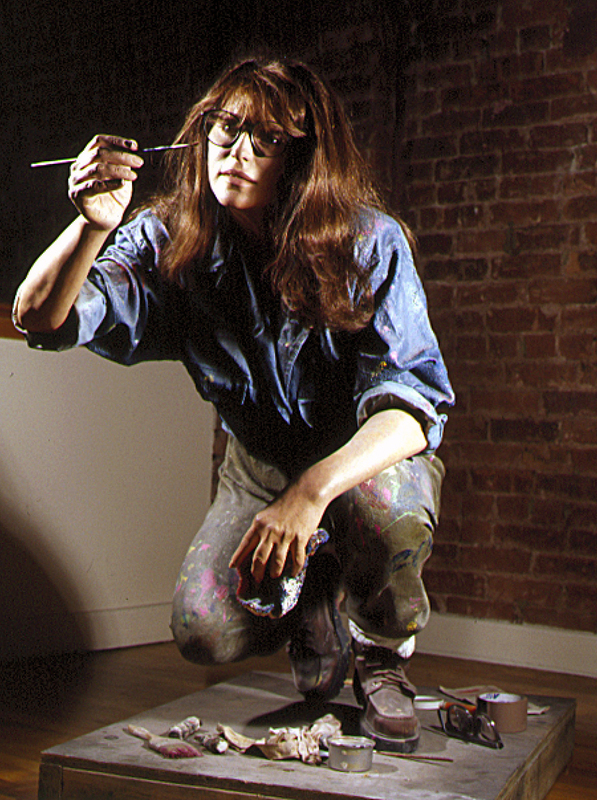 As a female artist, she speaks about the struggles that accompany being a woman in the art world as well as being a woman in life. With water droplets forever suspended in their tracks on the skin, soft eyelashes that sit still in the facade of contemplation, these resin women embody in our own likeness both the courage and fear that fuel and hinder us. 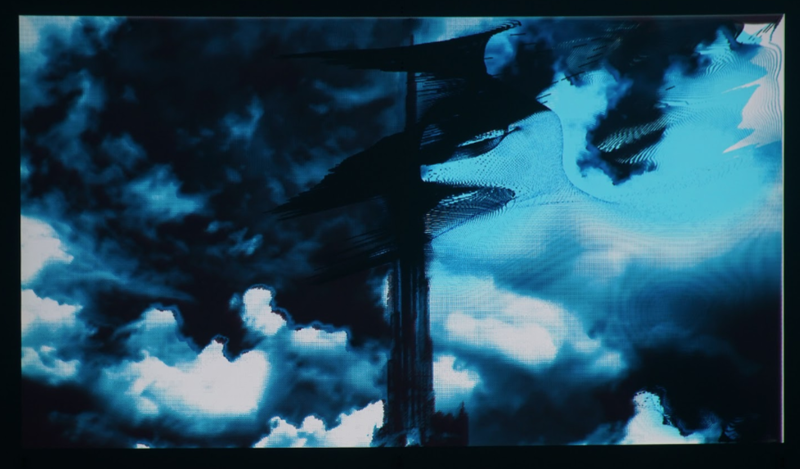 Ujoo and Limhee Young, a husband-and-wife duo, are fascinated with dressing the ethereal plane of fantasy in the physical forms of machines and images. With pieces ranging from kinetic Fantasy Stimulating Engines to Secret Keeping Machines, the pair breathes striking life into familiar dreams and feelings. Where cold metal meets the warm nostalgia of fictional stories, strange and wonderful creatures are spawned.